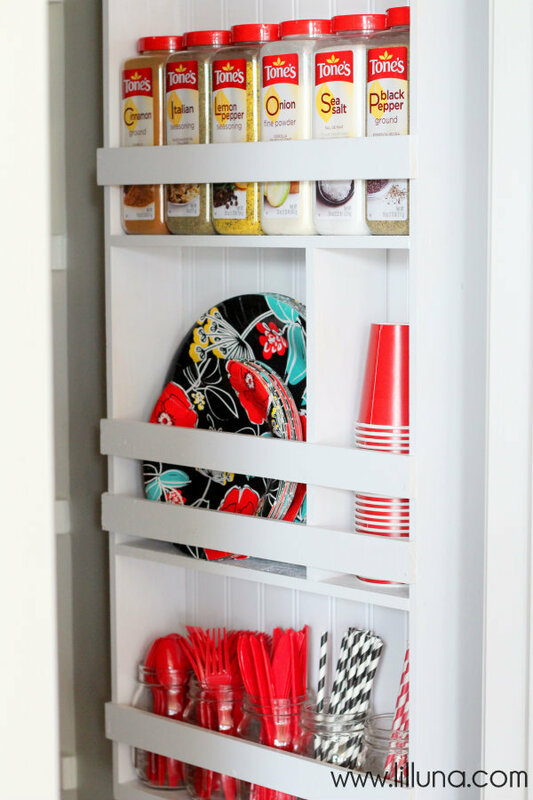 On the special door of the cupboard are placed some necessary kitchen items – paper plates, plastic cups, forks, knives, spoons and straws in a glass jars, even some spices. 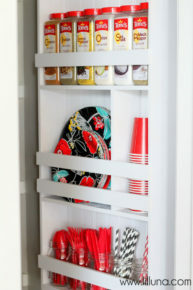 It’s convenient and functional for items we cannot easily find place. How our small dwelling could hold all our necessary belongings? Here are a few ideas for cabinets, boxes, shelves, etc., which help us so our home to be neat and convenient. We just need some creativity and imagination to make of your home a place to live, breathe life in it and atmosphere. The photos below will convince you that this is not only possible but pleasurable as well.